Additional charges may apply to unruly or aggressive pets. 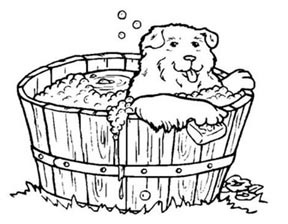 Add these services to your pet's Spa Day at less-than-usual prices! *We are not professional groomers. Please let us know if you are sensitive to odors so that we will not use any strong scents on your pet. 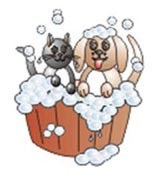 Please leave contact information so we can obtain permission to examine and treat your pet in case we find a problem we think may need veterinary attention during the bath. Rabies, Bordetella, and DAP (Distemper/Adenovirus/Parvovirus) vaccinations are required at least 7 days before appointment.